The 2018/2019 ski season has reached its peak, and once again a lot has changed. Hence, it is time to examine the resorts a little closer. Snow-Online has tested over 250 ski resorts worldwide, and rated them according to ten different categories. The result is our top 10 of the best ski resorts in the world. © Zermatt Bergbahnen There's a reason Zermatt is also called Matterhorn Ski Paradise. 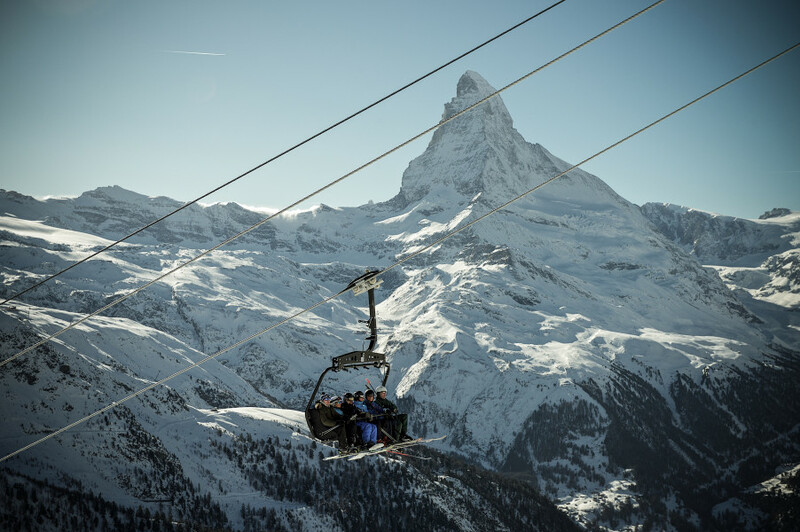 In the shadow of the majestic Matterhorn, surrounded by numerous 4,000-metre peaks, Zermatt offers a ski experience unlike any other in the world. With a whopping 365 km (227 miles) of runs to explore from Zermatt in Switzerland to the Italian Breuil-Cervinia, this resort has it all. Its altitude at almost 4,000 metres above sea level makes Zermatt the highest ski resort in the Alps and virtually guarantees great snow levels. Indeed, skiing is possible on the glacier all year round here. "Matterhorn Ski Paradise" – the name says it all. Frontrunner of 2015 and 2016's rankings, Zermatt took a quick breather in the runner-up slot, but with the opening of the spectacular Glacier Ride, it regains the first place. However, the world's highest cable car is not the only novelty at the Swiss ski area. With the new dynamic pricing system, winter holidaymakers booking in advance can now count with considerable savings when it comes to ski passes. On top of that, Zermatt is perfect for families, as the certificate 'Family Destination' awarded by the Swiss tourist association goes to show. >> Click here to read the full Zermatt review. © Sepp Mallaun Serfaus Fiss Ladis scores with variety and family-friendliness. 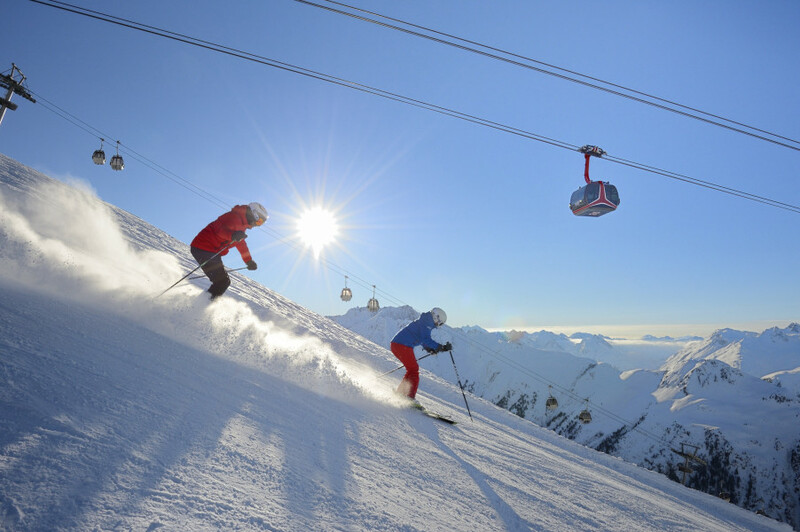 The Austrian resort Serfaus Fiss Ladis keeps investing systematically to improve quality year after year, spending well over 200 million euros in the last decade alone. This investment is certainly noticeable on site. A new viewing platform on Masnerkopf was opened for the 2018/19 season, and the second construction phase of the major project "Dorfbahn Neu" will be finished this winter. 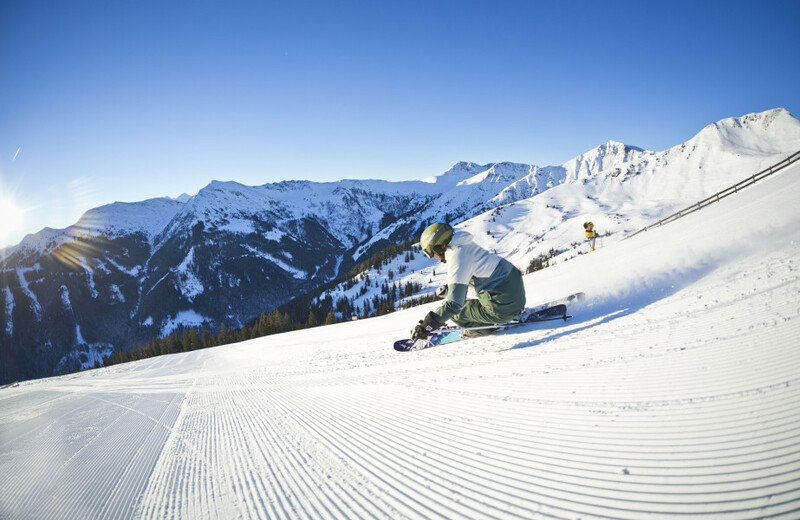 Though families always take centre stage here, Serfaus Fiss Ladis's 200 km (124 miles) of groomers also have something to offer for intermediate and expert skiers as well as lovers of terrain parks and untouched powder. Customer service is also taken seriously here: perfectly groomed slopes, modern lifts, large ski depots, outstanding signage and lots of other details make Serfaus Fiss Ladis a ski area where you feel at home right away. Both experienced skiers and families get their money's worth in the Serfaus area. After 2016, this great variety wins Serfaus Fiss Ladis the silver medal once again. >> Click here to read the full Serfaus Fiss Ladis review. © TVB St. Anton am Arlberg/Fotograf Josef Mallaun Ski Arlberg offers a lot of terrain for back-country skiing. Last year's winner Ski Arlberg has been bumped from the top this season, but it still manages to keep a podium finish. With the merger of St. Anton, Lech Zürs and Warth-Schröcken, Ski Arlberg has become Austria’s largest ski area, and one of the top 5 largest resorts in the world. Skiers find a total of 305 km (190 miles) of groomed runs as well as a whopping 200 km (124 miles) of slopes where the powder stays deep and light. Ski Arlberg convinced us throughout all categories during our test. Beginners and families will feel just as comfortable on the numerous groomers of all difficulty levels as professionals and freeride skiers. Modern lifts, excellent restaurants and the legendary après-ski scene top it off. Moreover, Arlberg boasts two amazing circuits with "Run of Fame" (65 km, 18,000 m altitude difference) and "Der Weiße Ring" (22 km, 5,500 m altitude difference). 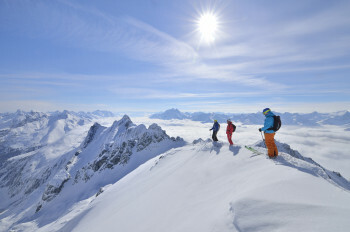 Thanks to this enormous variety, Ski Arlberg lands a well deserved third rank. >> Click here to read the full Ski Arlberg review. © Paul Morrison Whistler is among the top ski resorts in North America. With Whistler Blackcomb, Canada has once again made it into our top 10 ranking of the world’s best ski areas. Its 240 runs make the ski area near Vancouver the undisputed frontrunner in Canada. From the town of Whistler, skiers can either explore Whistler Mountain, or make their way up to Blackcomb peak. However, the impressive Peak2Peak Gondola allows skiers to hop from one peak to the other even within the ski resort – inside a gondola 400 metres above the ground. Whistler Blackcomb is a particularly great destination for intermediate and advanced skiers, though the wide range of simple runs and special beginner’s areas also make it a good choice for families and beginners. Whistler Blackcomb is also an absolute paradise for freestyle skiers and snowboarders, and its terrain parks are among the best in the world. For the 2018/19 season, Vail Resorts have made a record investment of CA$ 66 million for Canada's largest ski resort. Therefore, a new and modern 10 person gondola as well as two new high-speed chairs have been opened this winter. Thanks to that, Whistler Blackcomb climbs up three ranks and becomes this year's number 4. >> Click here to read the full Whistler Blackcomb review. © saalbach.com/Mirja Geh Skicircus Saalbach Hinterglemm Leogang Fieberbrunn is extremely diverse and offers a great variety. Saalbach Hinterglemm Leogang Fieberbrunn is once again in the top group this year. The second largest interconnected ski area in Austria scores with super modern lifts, its large size, and diverse terrain. The ski area's main selling point is the enormous variety it boasts due to its four different valley towns. Leogang is great for families, while Saalbach and Hinterglemm are popular with more athletic skiers. Après-ski fans also love the wild parties in Hinterglemm, while Fieberbrunn is known among followers of the freeride scene all over the world. Indeed, the ski resort is always worth a visit. >> Click here to read the full Saalbach Hinterglemm Leogang Fieberbrunn review. © TVB Paznaun - Ischgl Après Ski paradise Ischgl boasts best grooming conditions. On Silvretta Arena's 238 kilometres (148 miles) of slopes, athletic skiers really get their money's worth. But Ischgl-Samnaun has also caught up when it comes to beginners and families. We were particularly impressed with the grooming of the slopes. Hardly anywhere else did we find such excellent conditions as during our test at Ischgl-Samnaun. To keep the facilities up to date as well, Silvretta Arena enjoys generous investments. Around € 25 million were used in winter 2018/19 to build a new, state of the art Gampen E4 chairlift complete with a brandnew base station and mountain restaurant. Oh yes, and the parties in Ischgl are also still top-notch. It's no coincident that the resort is known as the „Ibiza of the Alps“. The „Top of the Mountain“ concerts with world stars such as Robbie Williams or Elton John are legendary. To wrap up the season in 2019, Lenny Kravitz will perform on the Idalp stage. The après spots "Kuhstall" and "Trofana" are iconic – not even Ischgl's ski shoe ban can change that. 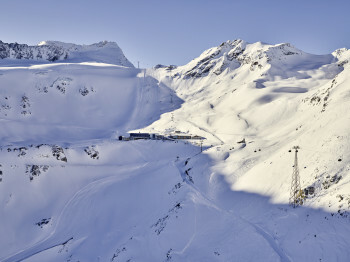 >> Click here to read the full Ischgl-Samnaun review. © Val Gardena/Gröden Marketing Val Gardena features diverse runs against the stunning Dolomite backdrop. Not only by virtue of having the second best user ranking after Zermatt, Val Gardena has again made it into our top 10 ranking of the best ski resorts in the world. 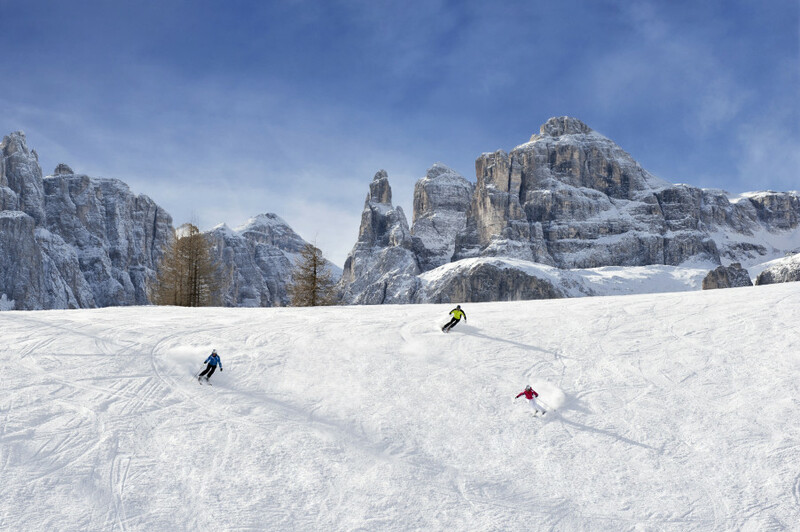 It is hardly surprising that the users of Snow-Online appreciate the ski area at the foot of the Sella group so much, seeing that with Dolomiti Superski Pass it boasts 1,200 km (746 miles) of slopes. It’s hard to imagine a place to better combine the “Dolce Vita” lifestyle with sporting adventure. 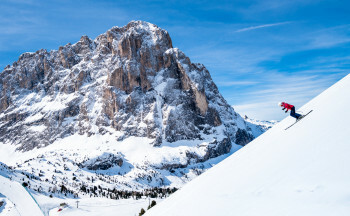 And there’s no better way of sampling its delights than to take on the epic Sella Ronda: This ski tour around the Sella group is quite simply legendary, and it should be on everyone’s bucket list. Other demanding challenges in Val Gardena include the Saslong, which hosts World Cup races every year, and the 10 km Seceda, the longest run in the Dolomites. Long trails like these require plenty of energy, but thankfully refuelling at one of the numerous lodges on the mountain has to be one of the best things about the ski area. Foodies will love the delicious regional specialities served here. >> Click here to read the full Val Gardena review. © Ötztal Tourismus Sölden's two glaciers promise good snow conditions from September to May. 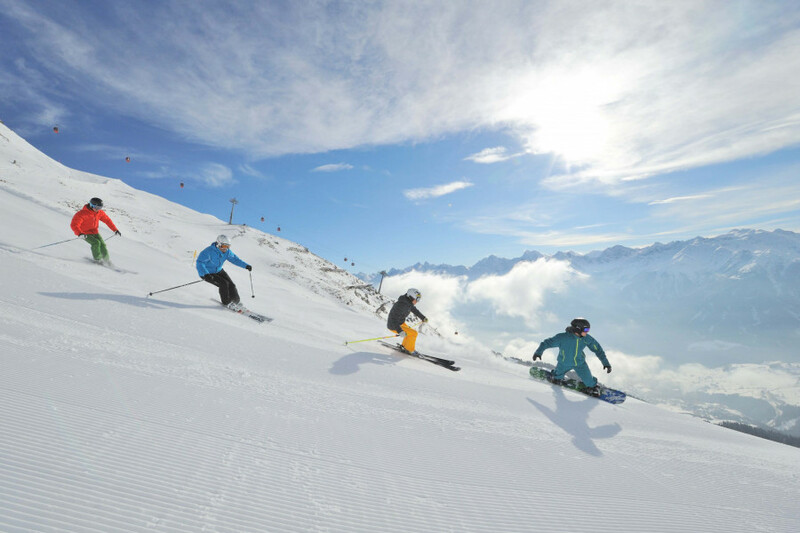 Just like last year, Sölden comes 8th in our ranking of the world's best ski resorts. The ski area in the Oetztal valley is known for its legendary après-ski parties. But that's not all Sölden has in store. The 144 kilometres (90 miles) of slopes are always perfectly groomed, the lifts are currently modernised, and at an altitude between 1,350 and 3,250 metres above sea level, Sölden is relatively snow safe – thanks to Tiefenbach and Rettenbach glaciers. Lasting from mid-September to early May, Sölden's season is outstandingly long. That is also why this is where the ski World Cup traditionally kicks off the season every year. Furthermore, the "Hotspot of the Alps", according to its slogan, boasts a new attraction since 2018: James Bond Adventure World „007 Elements“ on Gaislachkogl. >> Click here to read the full Sölden review. 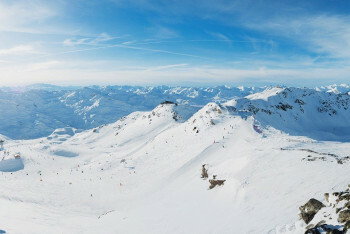 © Les 3 Vallees Association With 600 kilometres of interconnected slopes, Les 3 Vallées is the largest ski resort in the world. The largest ski resort in the world, Les 3 Vallées in France, comes ninth in our ranking. Possibilities seem endless on a total of 600 km (373 miles) of slopes. Les 3 Vallées is made up of eight different ski resorts, such as Méribel, Courchevel, Les Meunires, and Val Thorens, that are all interconnected, so you never even have to get off your skis. The ski area in the heart of the French Alps boasts a spectacular location: more than 1000 peaks of the French, Italian, and Swiss Alps can be glimpsed from the runs. One of them is Mont Blanc, less than 50 miles away. At 4,810 it is the highest mountain in Europe. >> Click here to read the full Les 3 Vallées review. © IDM Südtirol/Alex Filz Alta Badia has made it into our Top 10 of the world's best ski resorts in 2018/19. Alta Badia is the second ski resort in South Tyrol to make our Top 10 of the world's best ski resorts. Just like Val Gardena, the newcomer scores with its location within the ski area network Dolomiti Superski, and access to the famous Sellaronda. The resort was particularly strong in the categories "Beginner", "Family", and "Value for Money". But expert skiers as well will find a great variety of runs here. Cosy huts with beautiful views of the Dolomites and South Tyrolean delicacies make your skiing day around Corvara perfect. Hence, for us, Alta Badia is one of the best ski resorts in the world. >> Click here to read the full Alta Badia review. Our ranking has a new frontrunner in 2019: Zermatt! We have a new (old) winner. With its mega project Glacier Ride, Zermatt has made its way back to the top. Last time's winner Ski Arlberg is also overtaken by Serfaus Fiss Ladis. The Canadian ski area Whistler Blackcomb is another one of this season's winners. Thanks to broad modernisations, it finds itself in the fourth place. 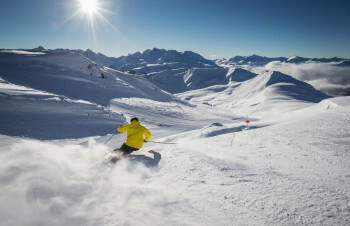 New among the 10 best ski resorts in the world are Alta Badia and Les 3 Vallées, ousting the American Vail and French Tignes-Val d'Isère. The bottom line is: all of the resorts in the "Top 10: The World's Best Ski Resorts" ranking are on an extremely high level. Which resort ends up where in the ranking may sometimes be influenced by groundbreaking investments, but it often depends on small details. It is especially striking that Austria occupies five spots in the list, and is therefore particularly well represented. This is mainly due to the continuous investments in modernisation. When it comes to innovations, for instance in lift and snow-making technology, Austria is always ahead as well. This goes to show in our ranking. We are excited to see what the ski resorts have planned for the next years, and if and when the North American ski resorts raise the ante with investments into their infrastructure. High-speed chair lifts with weather-proof covers and heated seats are still the exception here, rather than the rule. Switzerland and France also exhibit a certain investment bottleneck. According to what happens here in the next few years, other ski resorts might as well establish themselves among the Top 10. The Snow-Online team has been travelling the world's ski areas since 2004, to test them according to a set list of criteria. At first, the ski resorts were examined in six different categories. Since 2015, the criteria have become harder. Ski resorts are reviewed in the ten categories of "Beginner", "Expert", "Freeride", "Terrain Parks", "Family", "Nightlife", "Service", "Snow", "Value for Money", and "On Mountain Dining". Up to 10 points can be achieved in each category. Hence, a ski resort can get a maximum of 100 points. The final score is the sum of all the points achieved in the ten categories. If two resorts are tied, the user ranking decides. 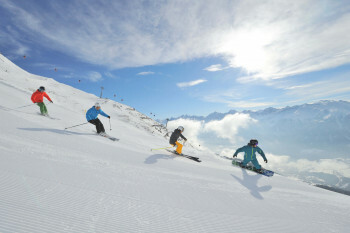 Snow-Online has already tested more than 250 ski resorts all over the world. >> Click here to find out more details about the criteria. For value for money, how do you compare resorts in different countries?